Sit on it and let out a real bronx cheer. Genuine rubber. 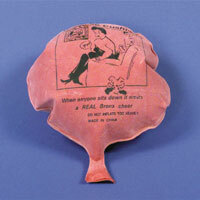 6 inch whoopie cushion.